ACER Indonesia is a representative office of ACER Limited, located in Jakarta. 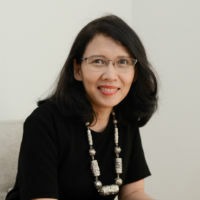 ACER Indonesia undertakes commissioned educational research, professional development and capacity building programs, and provides assessment services to a range of clients in Indonesia including government ministries, schools, teacher training organisations, universities and international aid agencies. 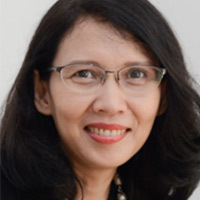 ACER Indonesia has been involved in a number of policy research, technical support and capacity building projects for the Analytical and Capacity Development Partnership, funded by the European Union and the Australian Government through the Asia Development Bank. Projects include support for the National Assessment Center (Puspendik) to improve national assessment and the reform of the Year 12 examination system; studies into teacher absenteeism; evaluation of national programs aimed at improving the leadership skills of principals and the effectiveness of ICT in education in Papua Province. The team at ACER Indonesia is highly experienced in the management and administration of large-scale research projects and in the delivery of professional development programs. ACER Indonesia is able to draw on ACER’s local and international capabilities to improve learning. Addressing the assessment of thinking skills in association with Himpunan Evaluasi Pendidikan Indonesia (Indonesian Educational Evaluation Association). ACER works closely with the Analytical and Capacity Development Partnership, a facility to promote education policy and reform in Indonesia.